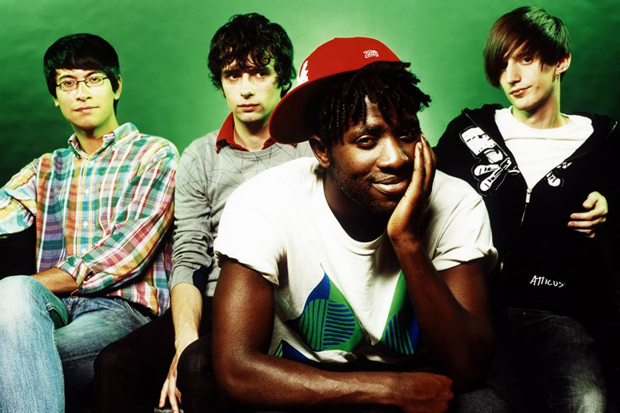 Five months after Kele Okereke confirmed his band would be releasing a new album following a two-and-a-half-year hiatus, Bloc Party’s frontman has reached out directly to fans with more information — it’s going to be called Four (or is it four? We can’t tell, Kele uses no capitalization) and has been fully mixed — as well as elaborated on what the band has been doing in the interim, why they decided to reunite, and what fans can expect from the material they came up with, material that may be coming long after, as many have speculated, Bloc Party’s heyday passed with 2005’s Silent Alarm debut. After releasing his solo record The Boxer in 2010, Okereke tried to “have a year without music in a different part of the world.” His proverbial desert island records (despite the whole “without music” part) were Led Zeppelin IV, the Deftones’ White Pony, Al Green’s Greatest Hits, and Nicki Minaj’s Beam Me Up, Scotty mixtape. Since 2009, guitarist Russell Lissack toured with Irish band Ash, as did bassist Gordon Moakes, who also had a kid; drummer Matt Tong built a recording studio in his basement, and Okereke supposedly worked on “a book that [he] had been writing for the last three years.” Someone also had “breakdowns, tantrums and hospitalizations,” but Okereke doesn’t elaborate. The album is due August 20 and Bloc Party will be playing summer and fall tour dates (including LA’s HARD Summer Fest, Montreal’s Osheaga Fest, and a three-night “residency” at New York’s Terminal 5), when new music will likely get to see daylight (or glowstick light, depending on set times).